Beauty Meets Nature In Sun-Filled Contemporary with Soaring Ceilings, Spacious Open Floor Plan, Meticulously Renovated 2016/2017. 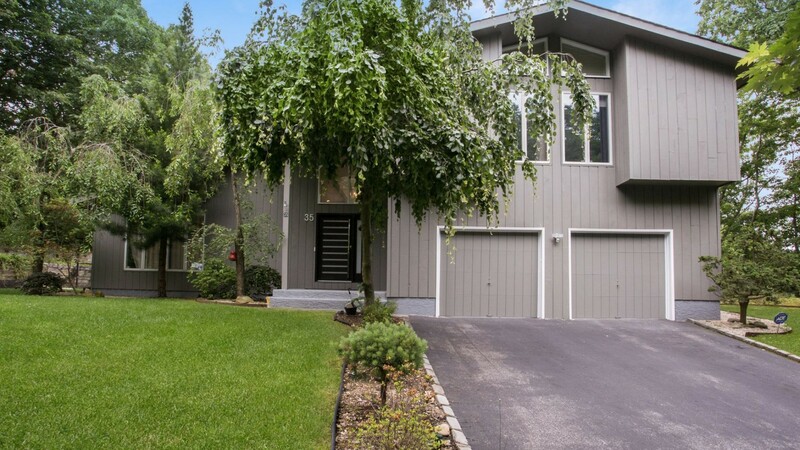 Elevated Above The Surrounding Area & Nestled On Private Dr In Old Chester Hills. Retreat & Enjoy Impressive Gourmet Kitchen with Thermador Appliances with 48" Double Oven Range, Quartz Countertops, Double High Solid Wood Custom Cabinetry. New Baths, Radiant Heating & Led Lighting Thru-Out, Surround Sound, Anderson Windows, Sensi Tech, Navian Sys, H2O Filtration System, on 1 Acre Property.